Information management requires maintaining a balance between three objectives: confidentiality and privacy, and integrity and availability of information. Learn about the information management lifecycle and the risks that can throw your objectives out of balance. 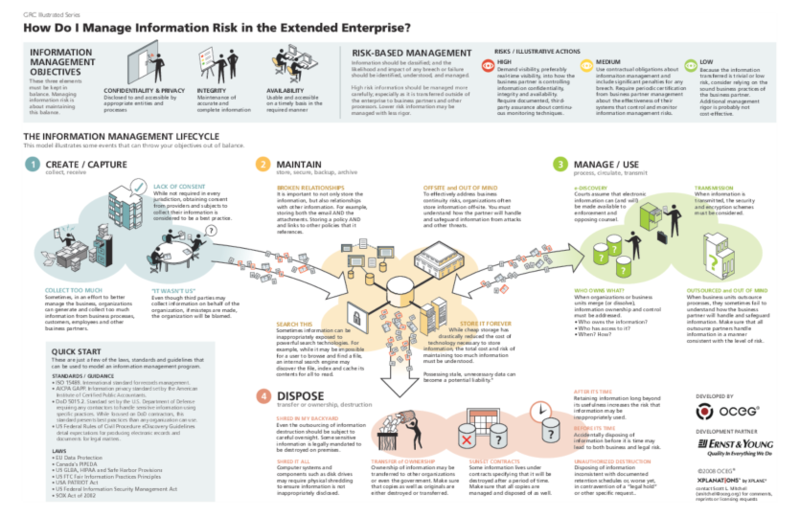 We have emailed instructions to access Illustration – How Do We Manage Information Risk In The Extended Enterprise to . Make sure the email arrives in your inbox: either add "support@oceg.org" as a safe sender to your email platform, or if you use Gmail, drag our email into your Primary tab.